If you’ve put off a long vacation because you’re afraid someone is going to try and break into your house when you’re away, you can stop worrying! 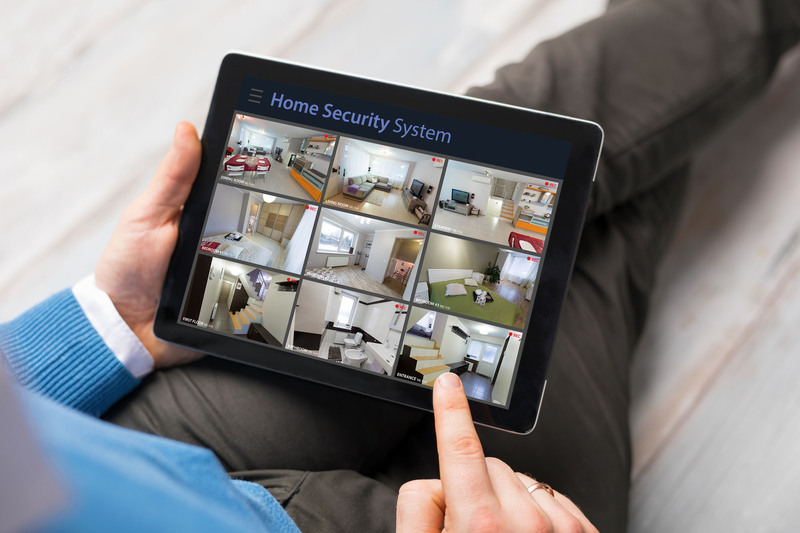 We have gathered 10 home security tips that’ll give you the peace of mind you may need to finally book a flight to someplace further than the Best Western in the next town! How secure do you feel about leaving your house for weeks on end? Are you worried about break-ins, theft, and vandalism? Going on vacation should be a stress-reliever, not cause more stress. Over 60 percent of Americans took vacations away from home last year. Only some of them put safety precautions in place to protect their home. The steps to securing your house aren’t hard or time-consuming. You can ensure your property stays safe and secure while you enjoy your vacation. Keep reading for the 10 best home security tips you need to try. Want More Home Security Tips? Considering asking a friend to stay at your house while you’re away. This shows an obvious presence of someone being home. Thieves are less likely to break into houses when someone is present. Even if your friend doesn’t stay at the house, they could check in. Ask them to come by the house every couple of days to collect mail and look around. They can notice signs of tampering or break-ins. If a friend isn’t available, you can hire a house sitter through a professional company. These people will maintain your home’s appearance and show that it isn’t empty. It’s normal for us to post about upcoming vacations on social media. We’re excited so we want to share with our networks. But, this can tip off potential thieves that the house will be empty. Instead, only share with close friends and family in person or via email. Don’t make any travel plans public on Facebook, Instagram, etc. While on vacation, consider holding off on posting pictures. Wait until you’re home to post evidence that you were away from your house. There’s constant debate over whether to close your curtains or not. On one hand, you don’t want intruders to be able to look in and see your place. On the other, it’s helpful for friends and family to check on your house by peering in the windows. The police may also peer in the windows if called to the house. The best option is to leave your curtains as they normally are, which is usually open. A house with closed curtains during the day is a sure-fire sign that no one’s home. It’s not helpful to leave your lights on 24/7 when you’re gone. First, your electricity bill will be massive. Second, anyone stalking your house will notice that no one turns them off. Instead, install a light timer on your switches. It will automatically turn your lights on for whatever time you set it. And, turn them off as well. Most people set them to turn on around dinner time when it starts getting dark out. Then, most of the lights should turn off around bedtime. Having one or two stays on all night is normal because we don’t always remember to turn all the lights off. Nothing says your house is empty like an overflowing mailbox. A week’s worth of newspapers on your porch show that no one’s coming or going through that front door. Well before you leave for vacay, call the post office and ask them to hold your mail. This is a common request from homeowners. You could also stop your newspaper service while you’re away. When you get home, sign up for it again. It seems obvious, but many of us forget to lock the whole house before leaving. This includes all doors and even second story windows. Before vacation, you should check that all your locks are in working order. Fix all broken locks and reinforce weak ones. It’s also a good idea to turn off your garage opener. Thieves can sometimes open them with universal garage door openers. Take extra precautions to make sure every entrance is secure. If you want to personally check on your house while away, install a security camera. Many cameras are able to link to any device on WIFI. You can use your smartphone to see your house in real time. This is also helpful if you hired a house sitter you don’t know well. Some security cameras look like rocks or other normal items. Place them in your yard, in your house, or around the entrances. Consider getting more info on which security camera is best for your needs. Who doesn’t have a spare key hidden somewhere around the front porch? Thieves aren’t dumb; they know there’s usually a hidden spare key. Before you go away, take that key inside. You could also give it to the friend that’ll be checking in on the house. Whatever you do, don’t hide it under the mat or in the mailbox. If you have a security system in your home, make sure you alert the company of your vacation. They should know to keep extra alertness for your account. For homeowners that don’t have a security system, you can notify the police. Don’t do this if you’re only going away for a weekend. If you’ll be gone for weeks, let the police station know. Sometimes they can do random drive-bys to make sure your house is safe. Another huge tip-off that no one is home is your yard. Do you mow the lawn each week? Do you water the flowers every night? It’s important to maintain your yard habits while you’re gone. Either ask a friend or hire a landscaping company to maintain the yard until you’re home. You won’t be able to relax on vacation if your home isn’t secure. It’s crucial that you take all precautions to make sure your house is break-in and vandalism-proof. Follow the home security tips above to protect your house and belongings. Make sure you plan these safety measures well before your trip. For more tips on keeping your house safe, maintenance, and home repairs, check out the home and garden blog.